Uncle Ken, Mum’s brother, was killed in February 1958, just before I was born. He was in the RAF, flying fast jets – Meteors. Because he was classified as colour blind, he was a Navigator in two-man jets. His NF11 (Night Fighter) was in a collision with another Meteor over Yorkshire. I will post on that another time. Uncle Ken was always a presence as we grew up. He had a radio, a Siera brand radio from Holland, which spent most of the past 50 years gathering dust, moving from place to place. It probably last worked around 1966. A couple of months back I took it to a small shop in Gosport. They advertised restoration of TVs and Radios, so I left it with them for an estimate, and returned to Texas. 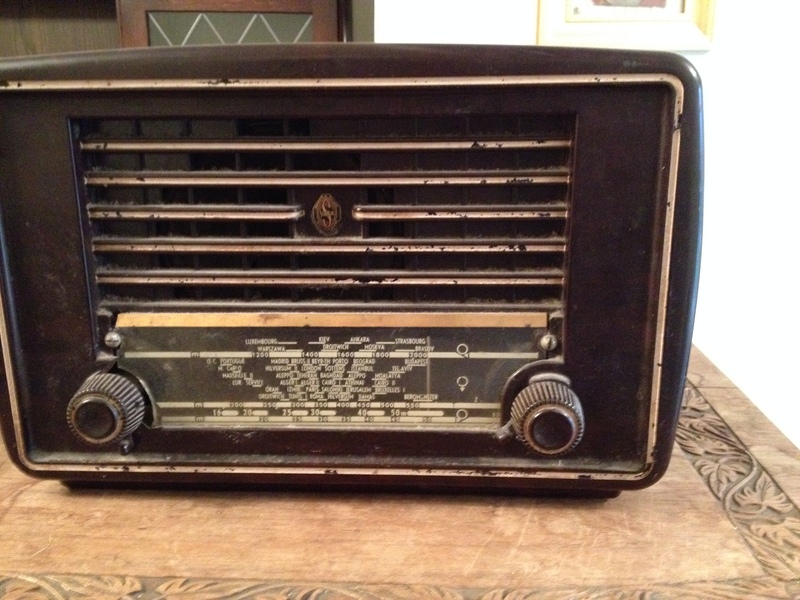 They phoned me, gave me a quote (about £60, more if I want a new back panel made), and I learned that it is a Philips radio, from 1955. There is a Dutch guy who makes repro back panels! Today I stopped in and asked how it was. The lady usually sits in the shop listening to radio, or playing a record, to test restoration projects. Radio Two was playing in the background. She went to the radio, and it was Ken’s radio! Being tested. How wonderful, in these throw-away days, to be able to bring back to life a treasured possession of the Uncle I nearly met. Equally treasured by my Mum, who listened to it, probably with her mother when she lived with us in Bolton, in the days of The BBC Home Service and Listen With Mother. So my early years were spent with this radio, and I took it for granted. Now, I look forward to it being part of my life in Texas, assuming I can get it home undamaged! 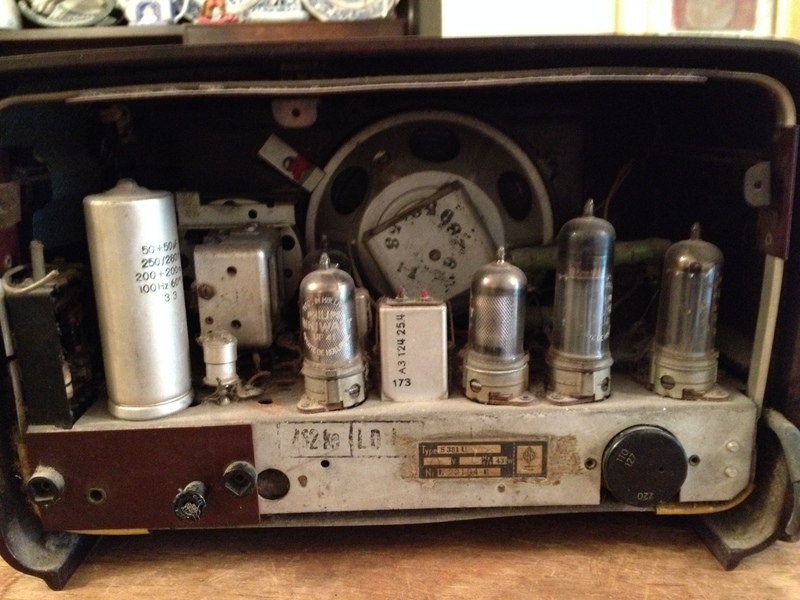 This entry was posted in Pics, Random, Tech and tagged analog radio, low tech, Meteor NF 11, Philips Radio, radio restoration, Siera Radio. Bookmark the permalink.